Requesting a mod: anybody to help? is there any modder here that could do a mod for the 4 basic classes? I dont know if this is the right place to ask it, if not, Im sorry for mistake and will move the post. 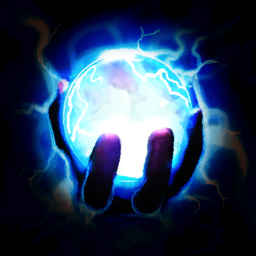 make the berserkers, embermage and outlander have 5 charges for their charge bar, at least as hidden mechanic, so the engineer skills will work with those other three classes. Like WOL7EN did for the mod Classy Classes, he saying "All classes now have 5 charges, so the Engineer skills will work properly on all of them." why keeping four classes? To have each one its own charge unique type, giving more build possibilities! I like the idea of generic classes, it expands a lot the possibilities in game. I was inspired by Classy Classes mod and Jack of All Trades mod. I like the first one, as it is almost a new game, but it's not playable in multiplayer game, and that's a major down for me and my group of friends who enjoys these type of games most for the multiplayer part. The second one mod of JoaT, it's pure genius, it makes torchlight anew again, really liking the skills as spells part, but the big limit of having 4 spells slots makes for very restricted builds. So, anyone who can do it? Or maybe someone with lot of free time to teach me? I have a fulltime job, and have a family so my scheduling can be busy, but I'm willing to commit and do it with anybody that will take his precious time to do the same. Thank you very much for your time and effort reading this, and hopefully receiving an answer. I know you all people are really busy here and in life with other projects and, well, life in general. I appreciate your dedication to this game. Re: Requesting a mod: anybody to help? To think ahead, you want to remove all active skills so fighting is weapon based only with the procs of passive skills, right?